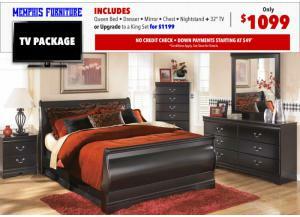 At Memphis Furniture, we provide our customers with bedroom furniture that is high on style but low in price. 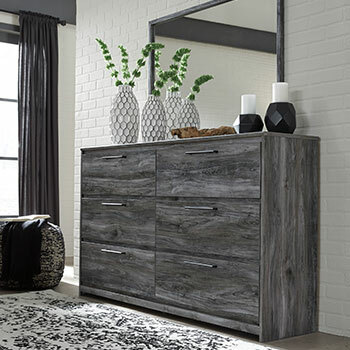 If you are looking to update your bedroom décor, you can count on us to provide you with an extensive selection of beds, spacious dressers, and even complete bedroom furniture sets at prices unmatched by any other business in the area. 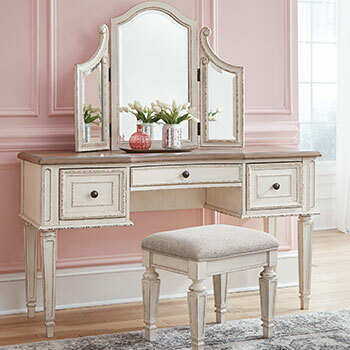 Next time your bedroom is in need of an upgrade, visit our Memphis, TN furniture store and see all the wonderful selections we have to offer. 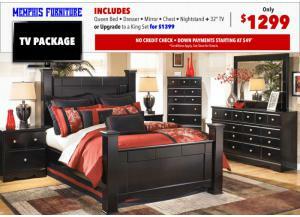 Your bed is the focal point of your bedroom, so you should choose one that is fashionable and distinctive. 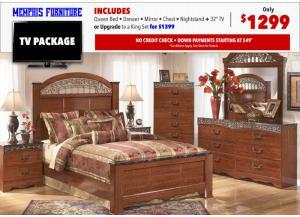 We have literally hundreds of beds for sale, available in a variety of diverse styles. 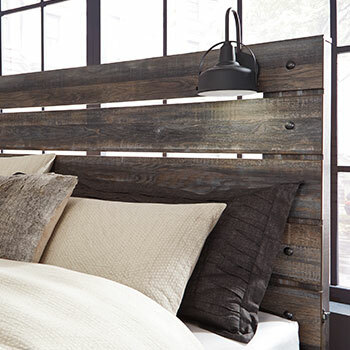 If you prefer simple streamlined designs, we have a variety of contemporary panel beds, upholstered beds, and even space-saving storage beds. 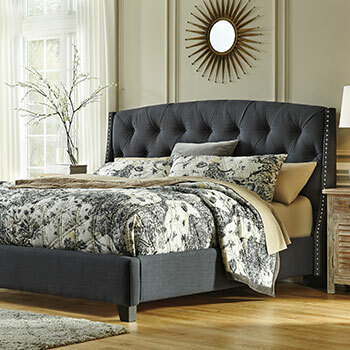 If traditional furniture is more your taste, we have poster beds with elegantly decorated headboards and sleigh beds that feature a unique curved design. Each one of our beds can be purchased individually or as part of a bedroom furniture set. 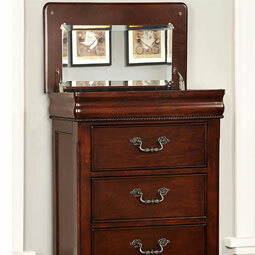 Our bedroom sets include a bed, a mirror, and one or more pieces of storage furniture for one conveniently low price. 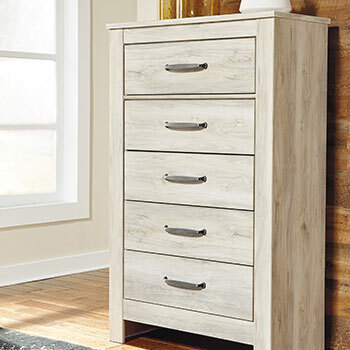 At our home furnishings store, you will find a large selection of bedroom storage furniture which will help keep your bedroom neat and organized. 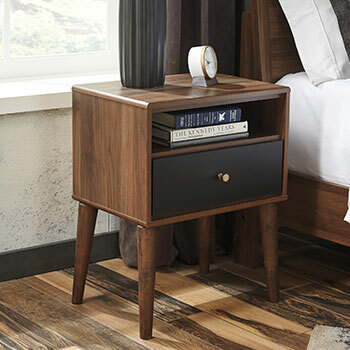 We have standard storage options such as dressers and compact nightstands, in addition to more unique selections such as bedroom chests and media chests. Our bedroom chests have five to six spacious storage drawers, making them particularly useful if you have a lot of clothing or linens you need to tuck away. Media chests are quite useful as well because, in addition to a set of storage drawers, they also include a spot to place your television and electronic devices. 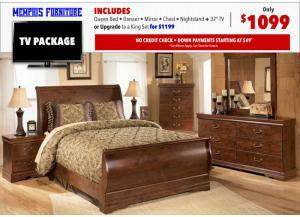 At Memphis Furniture, you will find these furniture selections and so much more! 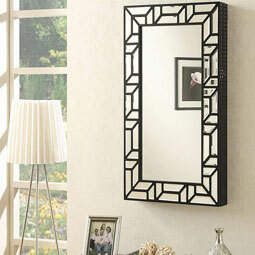 No matter what kind of home furnishings you need, you can count on us to provide you with a wealth of options you are sure to love. 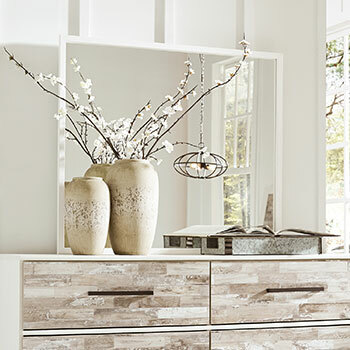 Visit our furniture showroom today!